Much of the world, but especially North America, is undergoing systemic transformation on a variety of complex, interconnected levels. A quickening of the knowledge revolution will bring about rapid innovations, serving to define – and redefine – what we understand about our world and how to go about living in it. Advancements in medicine, environmental research, brain mapping, commerce, geopolitical theory, and application continue apace. But what is destined to become one of the most profound drivers for all these changes is the largest ever generation in U.S. history, the so-called Millennials. Bigger even than the post-World War II Baby Boomers, Millennials – defined as those individuals 18-34 years old – are estimated by the U.S. Census Bureau to number 75.4 million. As they age through the coming decades, they will leave a massive, sometimes unpredictable imprint on society, much as did their Baby Boomer parents and grandparents. 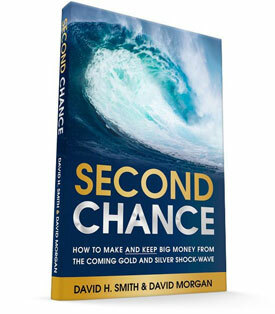 When David Morgan and I wrote our latest book, Second Chance: How to Make and Keep Big Money From the Coming Gold and Silver Shock-Wave, we realized the importance of the changes now underway and devoted a chapter to Milleninals. We knew they are now increasingly driving our economy's direction – e.g. via online shopping, reduced auto purchases, and interestingly, increased savings' habits. And they would in the coming years also end up running the country. It is our belief that The Fourth Turning offers an intriguing view of where we as a nation have been, and where we're headed. As the current cycle plays itself out, the course of events, the sturm und drang (literally 'storm and stress') created by it, will have a major influence on the epic precious metals' uptrend in which we're currently involved. This zeitgeist has the potential to extend and exacerbate the levels to which gold, silver, and the miners will ascend, prior to their inevitable blow-off. 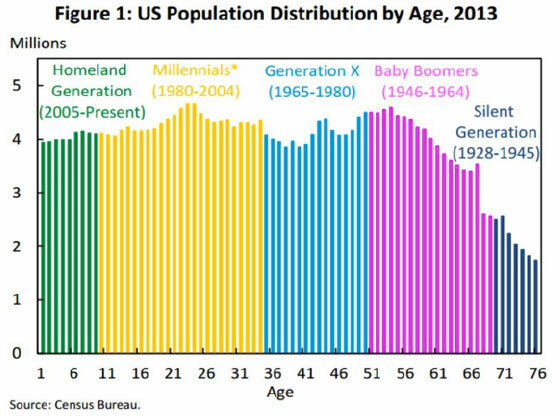 Briefly, Strauss and Howe posit that every 70-80 years, as generations move through their life phases, America goes through a cycle of four "turns." We're in the final segment of the current cycle – the Crisis, which should wrap up by the mid to late 2020's, thereafter initiating the new cycle's first turn. It is almost a given that Millennials will chart their own unique paths. One thread, the still-evolving tendency to save and invest money rather than over-consume and go into debt (except for student loans!) bears watching. It's not a stretch to envision a generation now behind the curve with their parents in terms of wealth accumulation, making a significant turn in favor of precious metals. Consider the bull market in gold and silver moving back into gear later this year and picking up speed in 2018. If even a small percentage of this age group begins to start "stacking," still another tail wind powering the rise will come into play. Most Millennials understand that Social Security in its present form is not going to "be there" for them. Given the nature of herd behavior where most people hold on too long, when the broader stock market goes through its inevitable blow-off phase, the majority of those who've participated in it will be left holding the bag. In order to make up for their losses, they'll be looking at precious metals – the one asset class that has held its own since long before they were born – which by then is likely to be in the intermediate stage of a mania phase itself. One of the reasons our Second Chance book's thesis is so positive about the future of precious metals has to do with the extensive research over many years conducted by David Morgan for subscribers of The Morgan Report – and for the many audiences he has spoken to around the globe. He concludes that in virtually every instance he's studied – regardless of asset class – the majority of the profit potential, as much as 80-90%, takes place during the last 10 percent in the time of the entire bull run. What does this mean for Millennials and Boomers? Right now, as the next leg up in the metals prepares to reassert itself, and for at least the next few years, the profit potential has a high probability of being even more profound than what preceded it back around the turn of the century, from when the initial generational bear market first evolved into a vibrant bull. Getting Your Assets "from Here to There"
There will come a time a number of years hence, when it will be important to "sell down" the majority of your holdings, deploying the proceeds into other fields of endeavor, while prudently keeping some gold and silver as insurance "for the long run." Understanding this concept offers an important key to a seldom-considered benefit of owning metals. They tend to move counter-cyclically to most other asset classes. The general stock market will become even more overvalued than it currently is (before its inevitable fall from grace), along with real estate, and collectibles. As the massive debt accumulated at all levels of government – including Social Security and public/private pension plans, end up being un-payable at anything close to their real worth – gold and silver can act as effective "asset life-boats" in carrying much of your investible worth to a friendly shore. The above quote offers a compelling rationale for doing whatever you can to keep a significant portion of your assets in survivable form on the way "from here to there" – then redeploying them when the time looks right. Don't be left behind!